The Comstock Foundation for History and Culture encourages the preservation and promotion of historic and cultural resources within the Virginia City National Historic Landmark District. The 19th century mining bonanza turned Virginia City into the most important industrial city between Denver and San Francisco, and it turned destitute prospectors from all over the world into instant millionaires. In the late 1850s, silver and gold were discovered in this area and the resulting camp was little more than a few miners living in tents and crude shacks. By the early 1860s, however, the town of Gold Hill grew to rival Virginia City in size and population. In 1861, Silver City featured boarding houses, saloons, hotels, and a population of about 1,200 people. The town became an important freighting center to serve travelers between the Comstock mines of Virginia City and the processing mills near Dayton and along the Carson River. The Comstock was born in Gold Cañon, the site of Nevada’s first gold discovery. Nearby Dayton became Nevada’s first permanent settlement in 1851, and was also the site of the state’s first Chinatown, and home to Lyon County’s first courthouse. Entrepreneur Adolph Sutro believed that a tunnel, excavated to intersect with the lower levels of the Comstock, would efficiently drain and ventilate the mines. Unfortunately, the Sutro Tunnel opened as the Comstock mines declined. 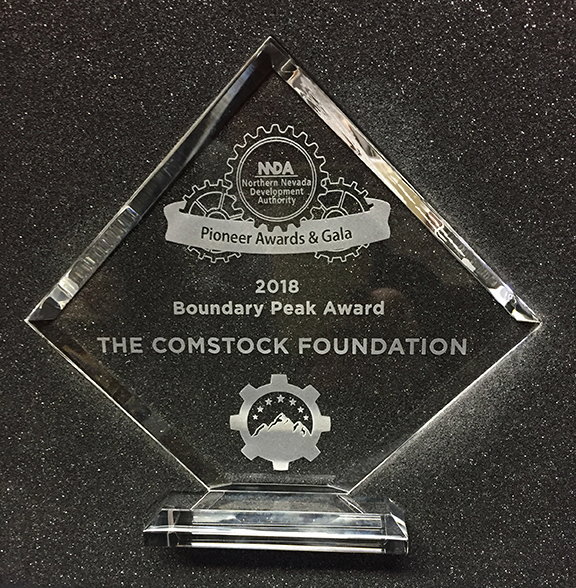 The Comstock Foundation for History and Culture is pleased to announce they are the recipient of the Northern Nevada Development Authority’s Pioneer/Boundary Peak Award as best non profit in 2018. In their press release they stated that the Comstock Foundation has worked since 2014 to rebuild historic structures and encourage the preservation and promotion of the historic and cultural resources within the Virginia City National Landmark District. The Comstock Foundation’s efforts started with the restoration of the iconic Upper Yellow Jacket Hoist Works. Currently underway is the restoration of the Donovan Mill in Silver City, which the Foundation purchased in 2015. Once completed it will house the Donovan Mill Museum and Visitor Center as well as a functioning stamp mill, machine shop and more. Volunteers have donated thousands of hours of their time and labor to make restoration efforts a reality. The Foundation assists other organizations on the Comstock such as the Fourth Ward School, The Gold Hill Depot, St. Mary’s Art Center, the Episcopalian Church, the Historical Society of the Dayton Valley, the Sutro Tunnel town site and others. Restoring the legacy of a nation. The Comstock Historic District is one of the most important National Historic Landmarks in the United States of America. At over fourteen thousand acres, it is also one of the largest. The district includes Virginia City, Gold Hill, Silver City, the historic part of Dayton, and the historic site of Sutro. 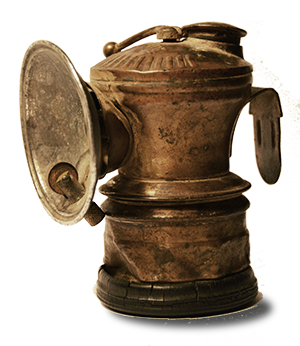 The Landmark commemorates a long history of remarkable achievements in the field of mining. Become involved and preserve history. This month’s feature videos present images of Donovan Mill. Copyright 2019 The Comstock Foundation for History and Culture. All rights reserved. • Design: Charter Advertising/Design, Inc.